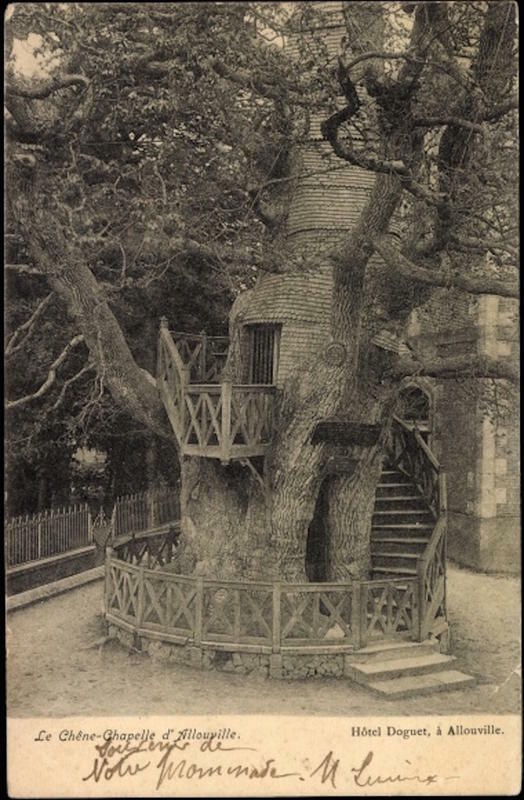 The Chêne chapelle “chapel oak” is an oak tree located in Allouville-Bellefosse in Seine-Maritime, France. 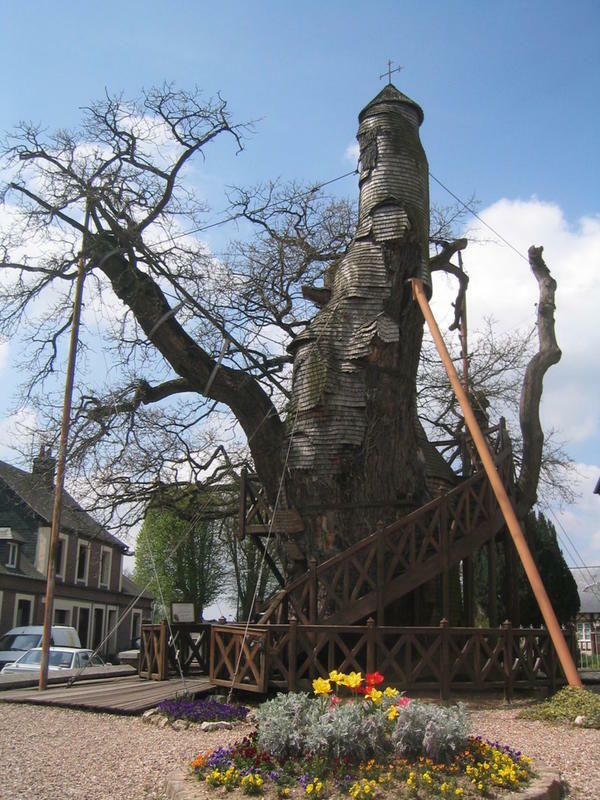 The oak tree is between 800 and 1,200 years old and its hollow trunk hosts two chapels Notre Dame de la Paix (“Our Lady of Peace”) and the Chambre de l’Ermite (“Hermit’s room”), which were built there in 1669 and are still used. When the tree was about 500 years old, it was struck by lightning; the resulting fire burned slowly through the center and hollowed the tree out. The local Abbot Du Detroit and the village priest at the time claimed that the event had happened with holy purpose. So they built a place of pilgrimage devoted to the Virgin Mary in the hollow. In later years, the chapel above was added, as was the staircase.